In reverse chronological order-most recent first. 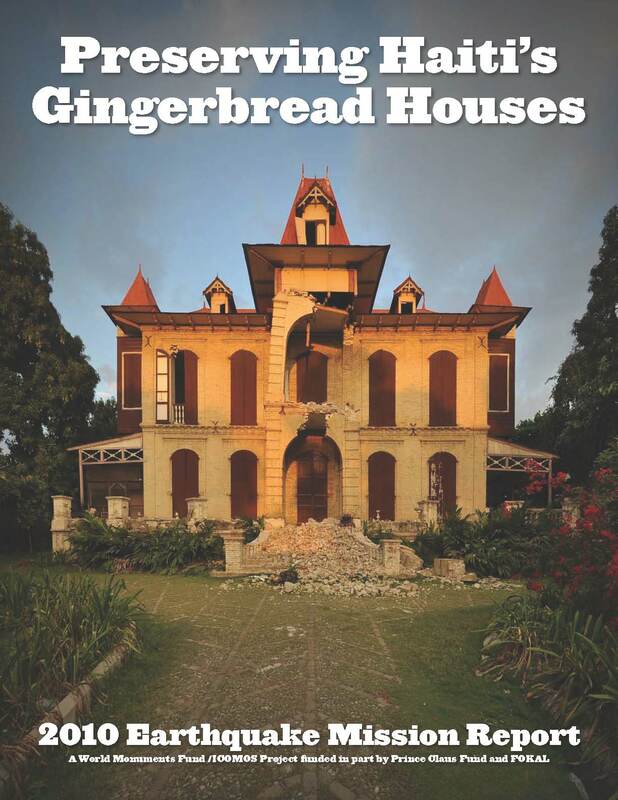 Randolph Langenbach Stephen Kelley, Patrick Sparks, Kevin Rowell, Martin Hammer, Co-authors, Preserving Haiti's Gingerbread Houses, World Monuments Fund. 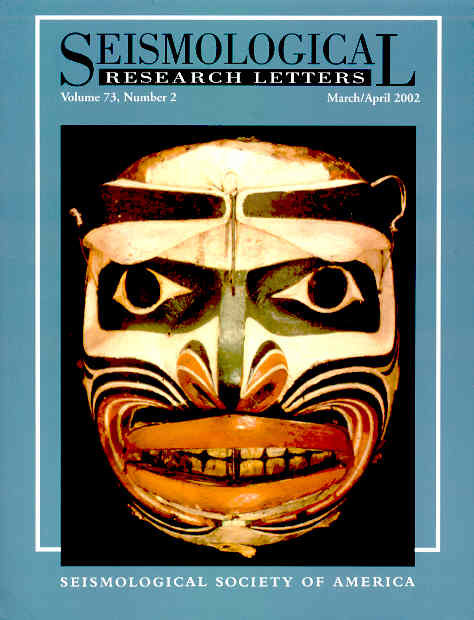 85 pages, published December 2010. See also the blog website: www.haiti-patrimoine.org. Excerpts of the book as a whole can be read in Google Books Here. In Google Books, Chapter 1 is shown complete. To find it, turn through 20 pages of the book's front matter with Roman numeral numbered pages, to find it on page numbers 3-36. 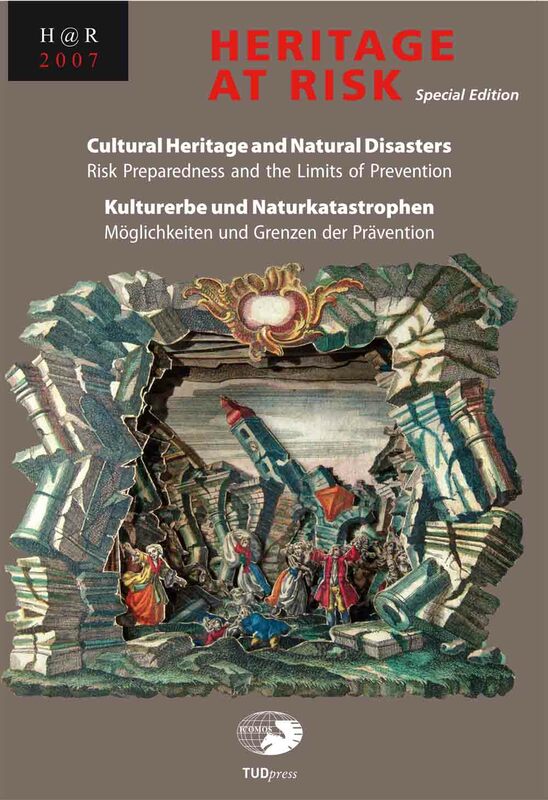 2015 Keynote Address paper: From Natural Phenomena to Disaster, The Increasing Flood Risks to Built Heritage in the Modern World, in Flood Protection for Historic Sites, Papers from 2014 International Conference in Dresden, DRESDEN, Germany, ICOMOS-DE, 2015. 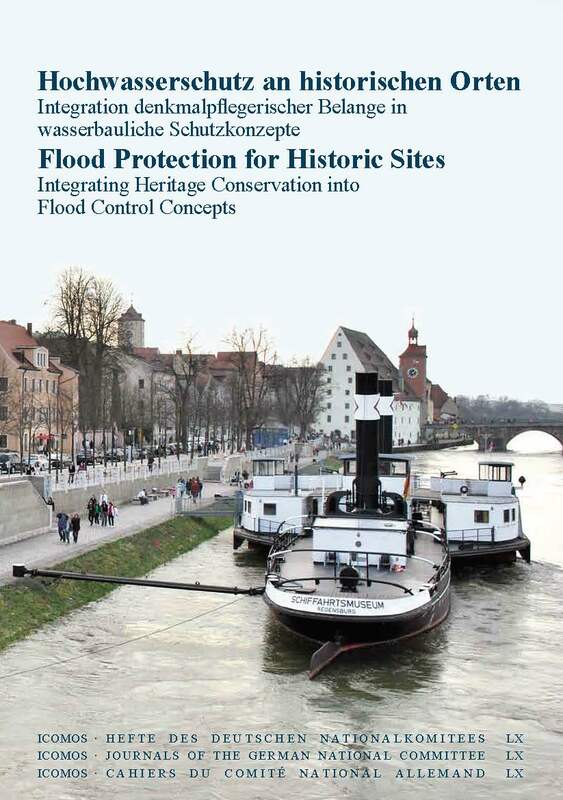 Complete book Flood Protection for Historic Sites, available for free download from ICOMOS-DE Website. 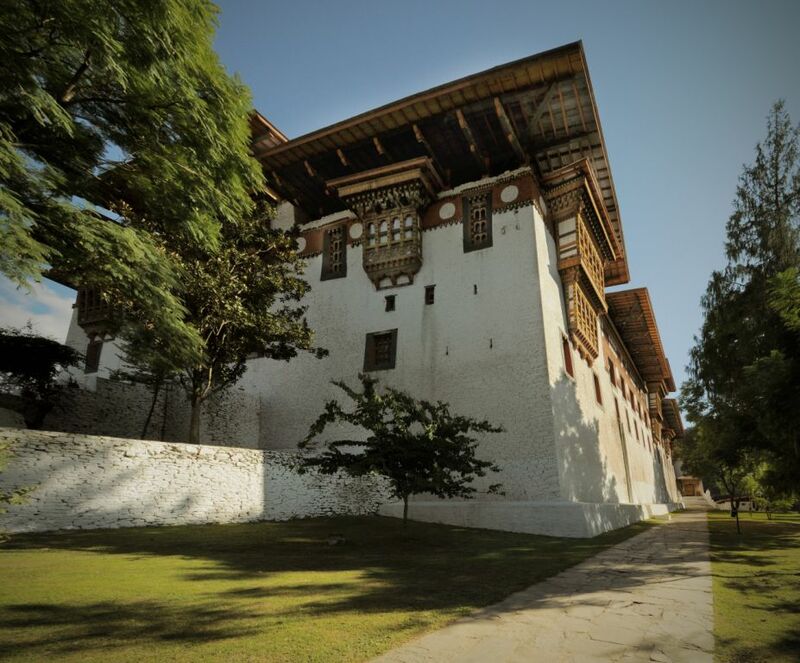 2015 Chapter 12: "The Earthquake Resistant Vernacular Architecture of the Himalayas,"
in Seismic retrofitting: Learning from Vernacular Architecture. 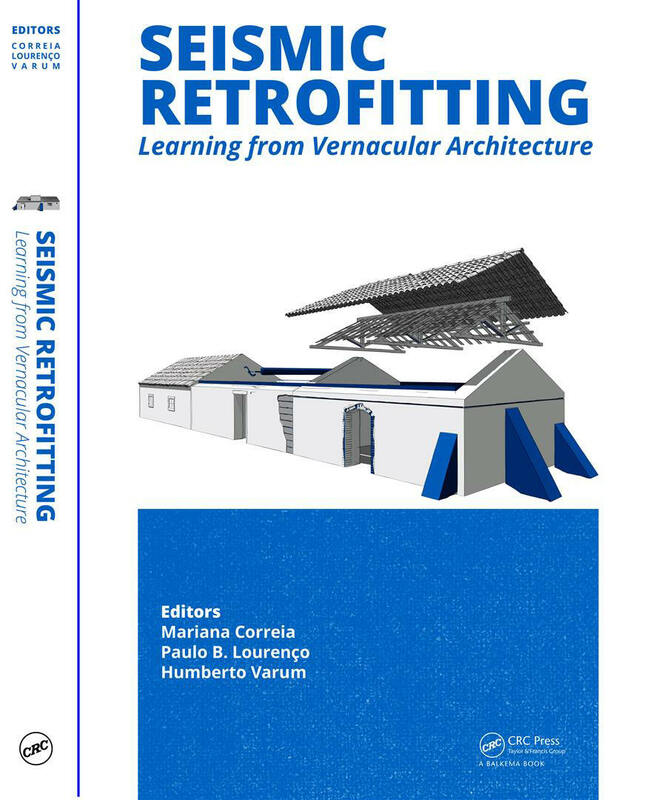 Edited by: Professors Mariana R. Correia, Paulo B. Lourenco, and Humberto Varum (Portugal). 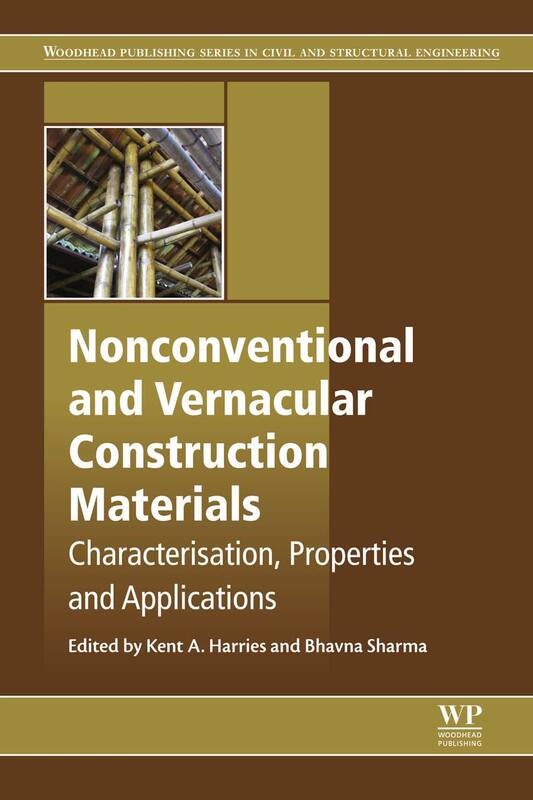 Published by CRC Press/Balkema,The Netherlands (Taylor & Francis Group), 2015. 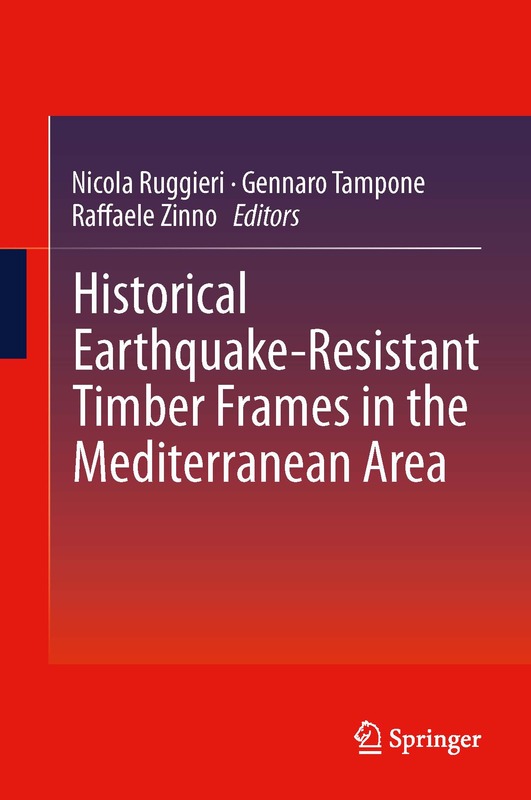 2015 Keynote Address paper: Timber Frames and Solid Walls: Earthquake Resilient Construction from Roman Times to the Origins of the Modern Skyscraper, 1st International Symposium on Historic Earthquake-Resistant Timber Frames in The Mediterranean Area (H.Ea.R.T.2013), Cosenza, Calabria, Italy. Published as a book in 2015 by Springer Publishers. 2019 2019, Paper for Keynote Addresses in Two Conferences. 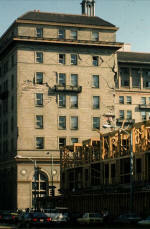 RECOVERING THE LOST ‘MOMENT’: How Timber-Laced Masonry May Hold the Secret To Stopping Pancake Collapse of Concrete Moment Frames. South Asia Earthquake Network (SHAKE) & NED University of Engineering and Technology, Karachi, Pakistan, 2019. 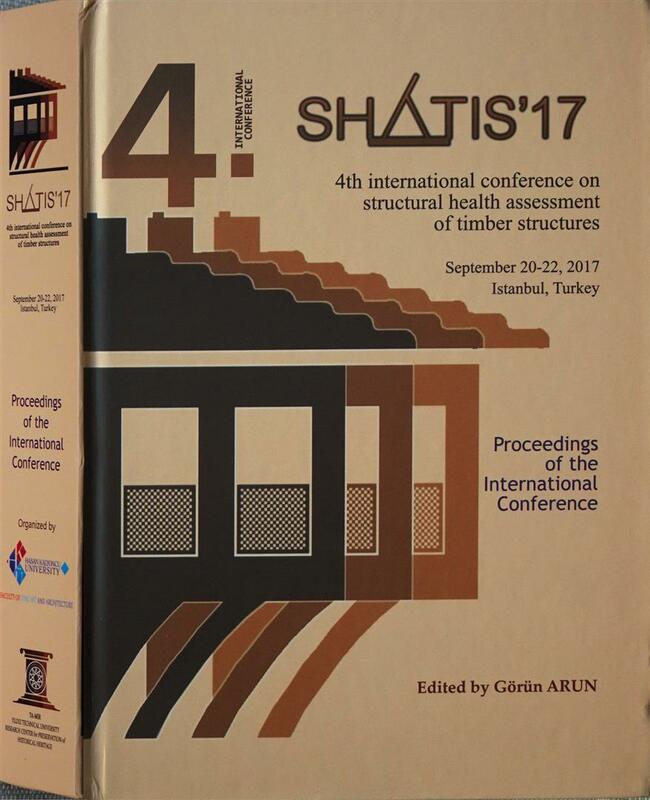 2017 2017, Keynote Address Paper, TIMBER 2.0: Resilience and Vulnerability of Wood Construction in Earthquakes and Fires, Proceedings of SHATIS'17: 4th International Conference on Structural Health Assessment of Timber Structures, Edited by Dr. Görün Arun, 20-22 September, 2017, Tübitak, Istanbul, Turkey. ISBN: 978-605-62703-7-6. 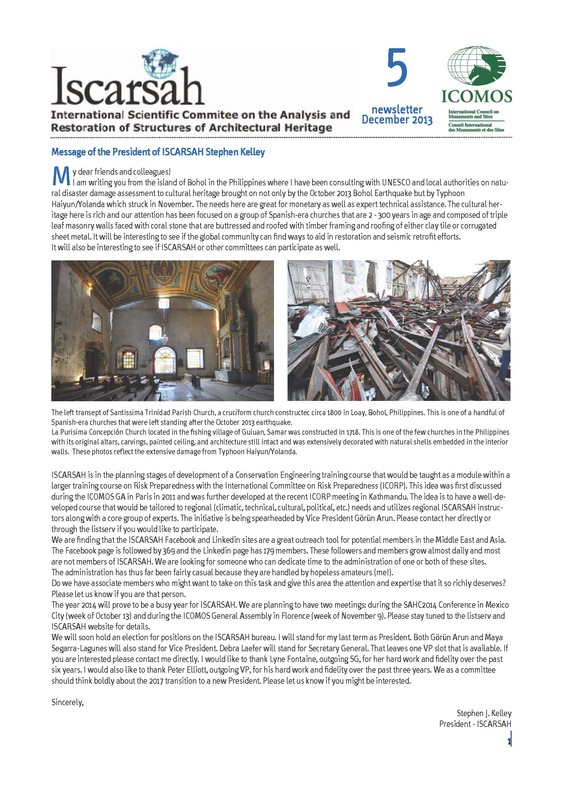 2015 2015, Keynote Address Paper: Traditional is Modern: Traditional Building Technology for Resilience in the Modern Era, Proceedings of the International Expert Meeting on Cultural Heritage and Disaster Resilient Communities within the framework of the 3rd UN World Conference on Disaster Risk Reduction, March 2015. Book of Proceedings published 2016. 2010 (2) 2010, Keynote Address paper: Rescuing the Baby from the Bathwater: Traditional Masonry as Earthquake-Resistant Construction, , 8th International Masonry Conference, Dresden Germany, July, 2010. 2008 (2) 2008, Building Tall with Timber, A Paean to Wood Construction, Structural Engineering International (SEI), Journal of the International Association for Bridge and Structural Engineering (IABSE), Volume 18, N. 2, May, 2008, pp 130-132. 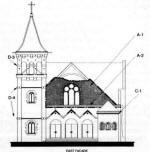 2008 (1) 2008, Resisting Earth’s Forces: Typologies of Timber Buildings in History, Structural Engineering International (SEI), Journal of the International Association for Bridge and Structural Engineering (IABSE), Volume 18, N. 2, May, 2008, pp 137-140. 2007 (2) 2007, From “Opus Craticium” to the “Chicago Frame,” Earthquake Resistant Traditional Construction, International Journal of Architectural Heritage, Taylor & Francis, Vol. I: p29-59, 2007 (Invited paper for the Inaugural Issue of the Journal). 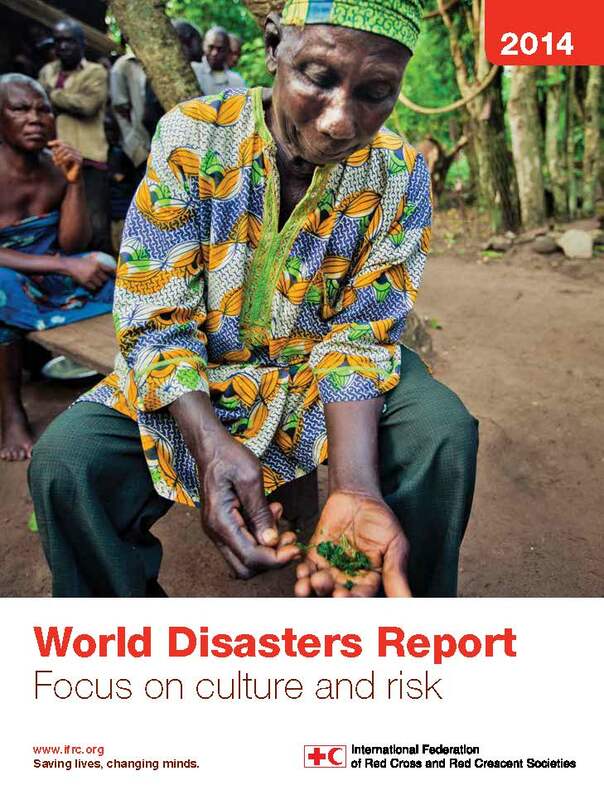 The Heritage@Risk program was endorsed by ICOMOS members at the General Assembly in Mexico in 1999 to identify threatened heritage places in a series of reports. 1) Table of Contents, etc. From “Opus Craticium” to the “Chicago Frame,” Earthquake Resistant Traditional Construction, Plenary Address Paper, Proceedings, Structural Analysis of Historical Constructions Conf., (P.B.Lorenço, P.Roca, C.Modena, S.Agrawal, New Delhi, India, 2006. 2006, Co-authors: Randolph Langenbach & Alberto Dusi, THE VICTIMS' DILEMMA: When Doing Good may be Doing Wrong, Proceedings of the 2006 International Disaster Reduction Conference (IDRC), Davos, Switzerland , ICCROM Workshop on the Integration of traditional knowledge systems and cultural heritage into risk management, Davos, Switzerland, August, 2006. (0.3MB) Updated in 2011 with new illustrations in color. 2006 (2) 2006, Co-authors: Randolph Langenbach, Khalid Mosalam, Sinan Akarsu, Alberto Dusi; ARMATURE CROSSWALLS: A Proposed Methodology to Improve the Seismic Performance of Non-ductile Reinforced Concrete Infill Frame Structures, 8th U.S. National Conference on Earthquake Engineering (8NCEE), San Francisco 1906 anniversary, San Francisco, California, USA, April 2006. 2005 (5) 2005 SURVEY REPORT ON NORTHERN KASHMIR EARTHQUAKE OF OCTOBER 8, 2005 FROM THE INDIAN KASHMIR SIDE OF THE LINE OF CONTROL, Earthquake Engineering Research Institute (EERI) Reconnaissance Report, Oakland, California, 2005. This report was prepared after a brief visit to the damage district on the Indian side three weeks following the earthquake. 2005 (4) 2005 "ARMATURE CROSSWALLS, How pre-modern construction practices may hold the key to avoiding the collapse of vulnerable urban housing blocks, Joint US-India Symposium on Urban Housing and Infrastructure in New Delhi, India, October, 2005. NEWS REPORT: US Dept. State News Report on the Bam Studio and International Conference at the Library of Congress, December 21, 2004. 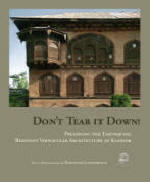 2002 (3) 2002 "SURVIVORS AMONG THE RUINS: Traditional Houses in Earthquakes in Turkey and India," APT Bulletin, Vol. XXXIII, No. 2&3, Association for Preservation Technology, 2002.
photographs and UNESCO Mission Report. 2000 (2) 2000, KEYNOTE ADDRESS “Intuition From The Past: What Can We Learn From Traditional Construction,” to be delivered at the International Conference: Earthquake-Safe: Lessons To Be Learned From Traditional Construction, Istanbul, Turkey, November 15-18, 2000. CLICK HERE for news articles about this conference and a link to the other papers delivered at the conference. 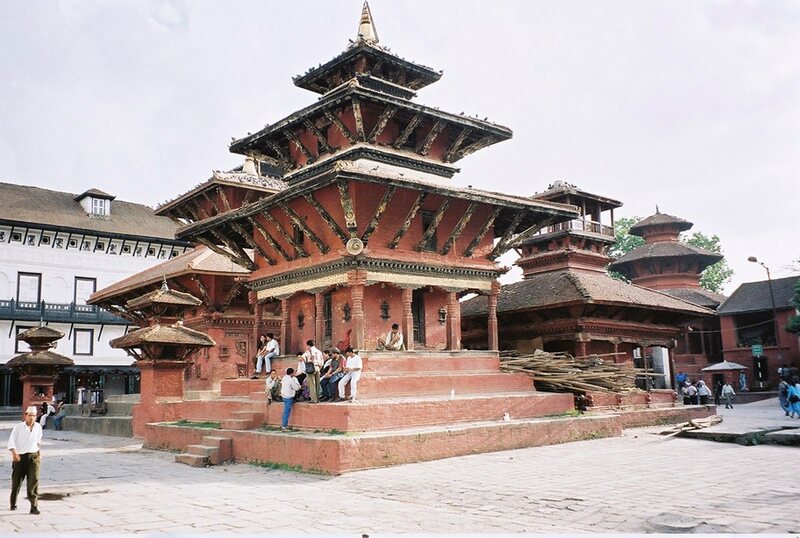 2000 “Structural Conservation: Philosophical Rules of Thumb,” unpublished report for the Kathmandu Valley Preservation Trust, Kathmandu, Nepal, June, 2000. 1997, “Life Safety and Historic Masonry in Earthquake Country; Balancing the Objectives in the Seismic Rehabilitation of Historic Masonry Buildings,” Proceedings of the Eighth International Conference on Soil Dynamics and Earthquake Engineering, (SDEE’97), Istanbul, Turkey, July, 1997. 1994, "Architectural Issues In The Seismic Rehabilitation Of Masonry Buildings," US-Italian Workshop on Guidelines for Seismic Evaluation and Rehabilitation of Unreinforced Masonry Buildings, Pavia, Italy , June, 1994. 1991 (3) 1991, Landmarks And Earthquakes: The Impact Of The Loma Prieta Earthquake On The Conservation Of Landmarks In Oakland California, The Alliance Review, National Alliance of Preservation Commissions, Fall 1991. 1990, “Technology and Public Policy following the Loma Prieta Earthquake”, The 1st International Conference on the Planning and Management of the Building Process in Europe '92 Proceedings, sponsored by: the Ordine Degli Ingegneri Della Provincia di Roma, Rome, Italy, March, 1990. 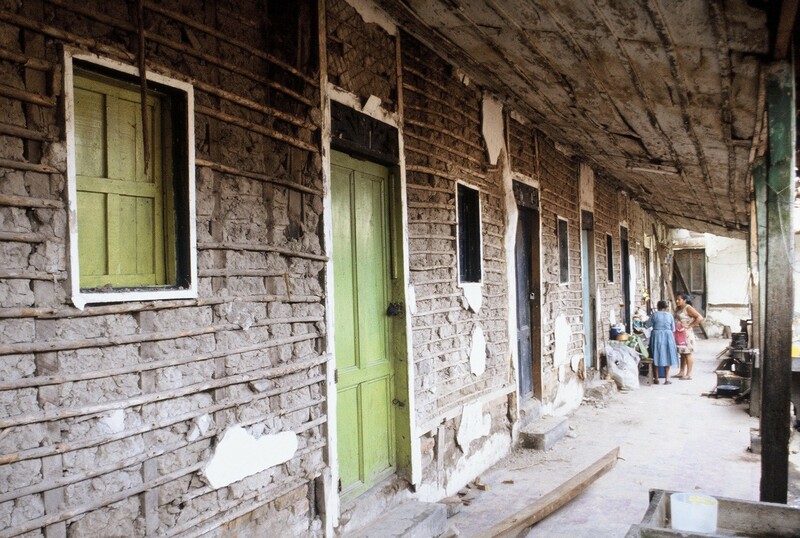 Please note: For those with a particular interest in Srinagar and Kashmir, "Of Taq and Dhajji Dwari" does go into the subject of the traditional architecture of Kashmir itself in greater depth than the earlier 1989 article Bricks, Mortar and Earthquakes (below). 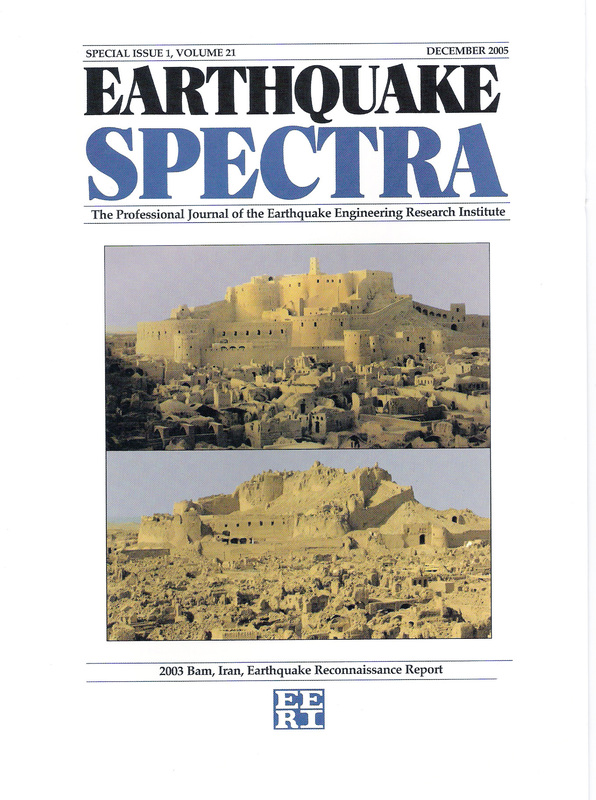 1989, “Traditional Unreinforced Masonry in Seismic Areas & The Loma Prieta Earthquake”, International Technical Conference on Structural Conservation of Stone Masonry, Athens, Greece, sponsored by: ICCROM, the National Technical University of Athens, & the Greek Ministry of Culture, Oct. 1989. 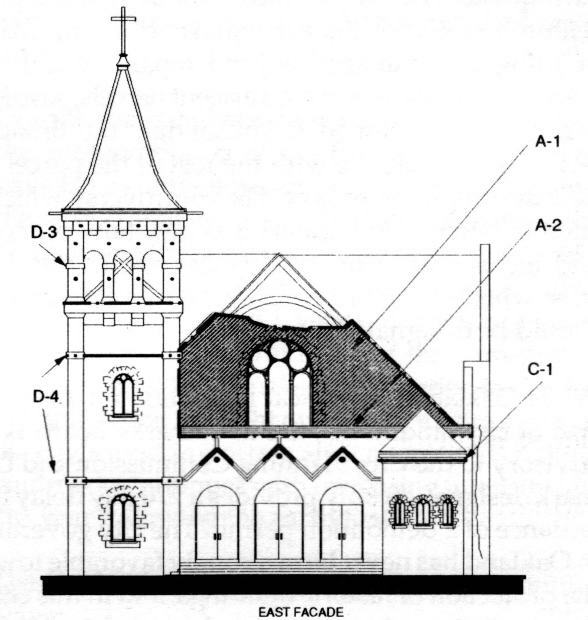 1989, "Traditional Construction Practices Utilizing Unreinforced Masonry in Seismic Areas," Traditional Dwellings and Settlements Working Paper Series, Vol XVII, Berkeley, CEDR, 1989. p107-119. 1989, "Learning from the Past: Traditional and Contemporary Unreinforced Masonry in Seismic Areas," Proceedings of the International Technical Conference on Structural Conservation of Stone Masonry, (Peer reviewed publication) Athens, Greece, ICCROM, National Technical University of Athens, & Greek Ministry of Culture, Oct. 1989. 1989 (1) 1989, "Bricks, Mortar, and Earthquakes, Historic Preservation vs. Earthquake Safety," APT Bulletin, The Journal of Preservation Technology, The Association for Preservation Technology International, XXI, 3&4, Sept. 1989. OLIVER TORREY FULLER AWARD ARTICLE, 1990. 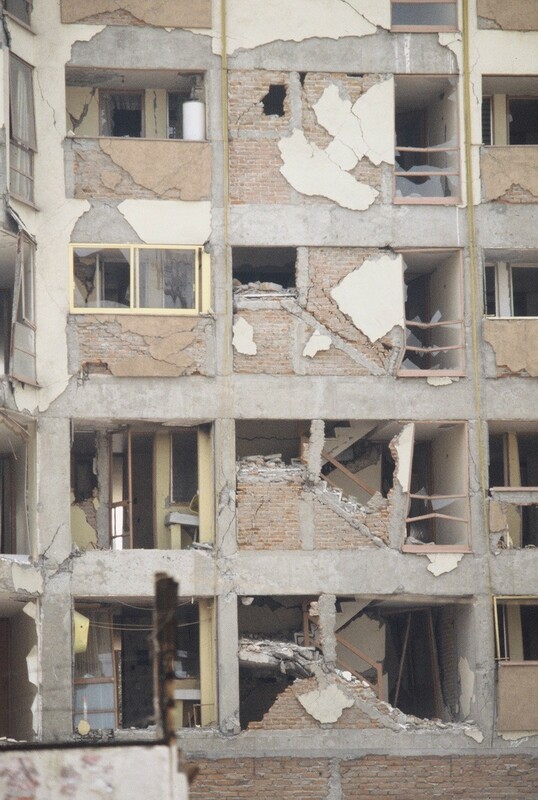 1987, "Traditional Masonry and Contemporary Reinforced Concrete Frame with Infill Wall Construction in Seismic Areas," Proceedings, Pacific Conference on Earthquake Engineering, New Zealand Society for Earthquake Engineering, New Zealand, Vol 2, pp 129-37.